Emmylou Harris has new music. A truly unique voice in music, Emmylou has been a fixture in country and other genres of music for four decades. Her music has touched on many topics including love, heartbreak, pain, and activist issues. 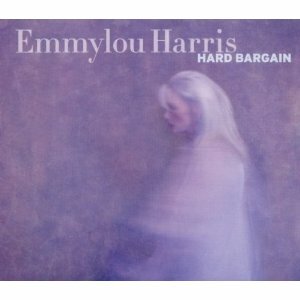 With her new music Emmylou takes on something new and does it in her own way as always. The new song sounds like nothing you’ll hear on CMT or radio today. I’m not quite sure what the new song, Goodnight Old World is about. The track sees Emmylou singing in a somber tone. The video has her set against the backdrop of a dark room with a cross visible as Emmylou plays her guitar and sings. The record is really stripped down, but you’ll notice the xylophone looking instrument in the beginning of the video. I’m not sure how much this instrument is used these days, but it stands out here even when you listen to just the track without the video. Goodnight Old World is actually kind of haunting. It reminds me of the last few records Johnny Cash cut before his death. Those songs had a haunting feeling to them. You could tell Johnny was having some kind of connection with his own death and the emotion came through in everything he did during that time. With this new song Emmylou sings about the being tired and worn out by all the trouble she’s seen in life. There is what seems to be the mention of some kind of child. I’m not sure how to interpret this part. Perhaps you can help me here. Whatever it is the child relieves a bit of life’s sorrows and I guess that’s a good thing. It’s always good to hear from Emmylou Harris. I have to again reference Johnny Cash’s late songs and videos and draw a comparison. I hope Emmylou is able to find as much success as Johnny did during his later years. Emmylou sounds as wonderful as ever and it’s exciting to see her still active in country music.